If we would take the time to judge ourselves — examine ourselves first, that is — we often wouldn’t be judged by others. Of course, when others do judge, it’s unfair. Judgment is wrong; it’s an an error. Since “error” starts with “e,” remember that it’s an error to add one. 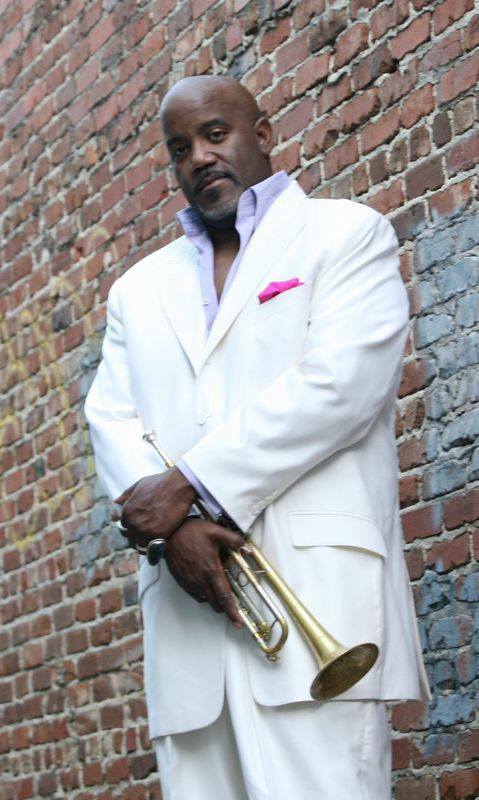 The temperature in Atlanta may have dropped, but trumpeter Joey Sommerville kept the Suite Food Lounge hot during the album release party for Overnight Sensation on Thursday, Oct. 30. With a career spanning more than 20 years, the album’s title is tongue in cheek. “I’ve been doing this for a while,” Sommerville joked after his opening song. “It’s so good to see a room full of people who came to hear your songs,” he said. Count good observation among Sommerville’s skills. The room was packed with people seated in the main room and the adjacent lounge enjoying dinner and cocktails for the weekly Suite Jazz Series. The mixed crowd of mature adults and a handful of below-fortysomethings included “King of Strings” violinist Ken Ford and How Big Is Your Dream drummer J. Fly, as well as WCLK-FM morning show host Morris Baxter. Sommerville and the band played tunes from the new album, which dropped Oct. 28, and a few selections from previous releases. Paul Preyer stood in for guitarist Earl Klugh on “Desire,” track No. 2 from the new album, and sax man Ryan Whitehead added some heat to a hip, heavy mashup of Duke Ellington’s “Caravan.” Its stealthy bassline made the timeless song thoroughly modern. After heavy applause and a few fist pumps from the crowd, Sommerville slowed things down with “Rebecca of Birmingham,” an ode to his grandmother and the city she called home. The bluesy, sweet number is reminiscent of Ray Charles’ “Georgia on My Mind” at moments, with something special in the pauses and end notes. Sommerville popped off his jacket just in time for “Make the Spot Hot,” making his way through the crowd and past a few ladies line dancing to the groove from his 2011 album, The Get Down Club. “I didn’t plan to get out of hand,” Sommerville said with a knowing smile. The crowd didn’t seem to mind as dancing picked up table side and in the back near his merch table. After introducing the band — Al Smith on keys, Louis “Styx” Newsom on drums, music director Tres Glibert and Derek Scott both on guitar — the guys played “Forever.” It was first recorded in 1993, but released on Overnight Sensation. Billy Ocean boogie comes to mind with a lovely bridge and guitar solo. Even though the trumpet is prominent, it blends particularly well in this song. While his sing-song rap wasn’t the stuff of true hip-hop MCs, the go-go feel of “Red Cups Up” and its party vibe made it all just fine. Sommerville’s horn added a perfect accompaniment to a B.B. King blues number. “Look out baby,” goes the chorus, “You might have made your move too soon.” Not so, if the folks who couldn’t stop dancing were any indication, especially one man up front who followed Sommerville’s trumpet note for note, step for step. “We’re going to take you south of the border now,” Sommerville said before leading into my favorite, “Like You Mean It.” The Latin-styled song that encourages listeners to “shake your hips” is off the 2007 album of the same name, and gets regular rotation on WCLK. For his encore, the band funked things up with Funkadelic’s “(Not Just) Knee Deep.” Sommerville had a couple of “taking you to church” moments with his vocals, pushing the funk deeper. 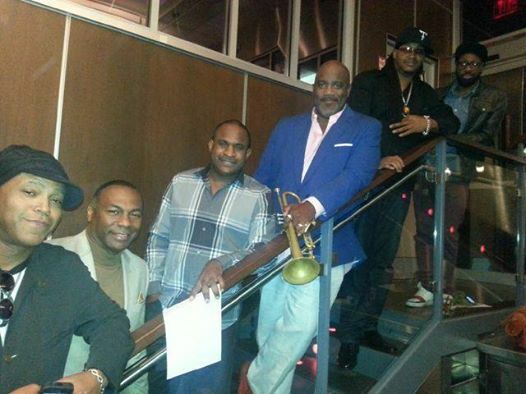 Fans of live music can check out the Suite Jazz Series every Thursday. It’s a nice change of pace. Complimentary parking is a plus, as is the decent sound and redesigned space. Be prepared for spotty service at the bar, but full-on fun with quality musicians. 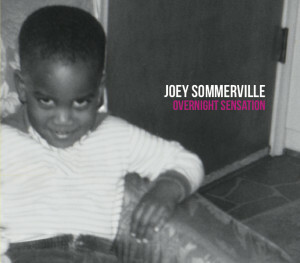 If the show Sommerville and his friends put on is any measure, it’s going to be a long, hot winter. With cool weather comes references to temperature. A common mistake is to say the temperature is getting warmer or — in the case of autumn and winter — cooler. But think about what’s at play here. It’s the temperature itself, not the weather. My dad would always make me wear a hat when the temperature started to fall. Folks love it when August hits and the weather gets cooler — but not so much when there’s a big temperature drop in the winter. Georgia has distinct seasons. When September comes, the days start cool but then the temperature raises to the mid-70s. Think of it this way: Temps drop, weather does not. Shorthand is commonplace when you’re texting or on Twitter and Facebook. And fast communication has a friend in fast food. But “drive-thru” is actually the only term where the shorthand is correct. I understand you’re in a rush. Just remember to write right when it really matters. Easy one this week, folks. It’s the difference between the action of backing up, building up, and the results thereof. When you hold back on how you feel about small offenses, they’ll eventually build up — and lead to a blow up. When you don’t make a backup of your files, you risk losing all your work. Commercials that mention plaque buildup gross me out. Sometimes you have to back up to move forward. Notice the difference? When using “back up” or “build up” as a verb, it’s two words. As a noun — “backup” or “buildup” — you put them together for one word. Think of it this way: Verb equals two words; noun, down to one. ChanteSez … Is it ‘then’ or ‘than’? A colleague had seen “then” incorrectly used so many times when “than” should have been — in laudable publications, no less — he started to question which was right. ChanteSez to the rescue! If I don’t do it now, then I’ll never get around to it. Every now and then, I crave mint chocolate chip ice cream. “Than” is about a comparison of some sort. She refuses to date anyone who’s shorter than she is. I’d rather be busy than bored. Here’s your clue: Stay aware (with an “a”) when you compare. Of course, the best way to avoid this typo, and so many others, is to do a good read before you post, print or pontificate. I wish I’d made this: “Word Crimes” by Weird Al. That is all.